LabSat 3 Wideband — Record & Replay 20 satellite signals simultaneously Posted on 01 Apr 2019 in the Sponsored Video & Videos categories. Averna offers GNSS simulation for RP-6500 RF Record and Playback platform Posted on 04 Oct 2018 in the Sponsored Video & Videos categories. Thank you for registering. Posted on 07 Sep 2018 in the Uncategorized categories. Trimble CenterPoint RTX, A Customer Story — Surveying in South Africa Posted on 01 Sep 2018 in the Sponsored Video & Videos categories. Thank you for registering. Posted on 21 Aug 2018 in the Uncategorized categories. Thank you for registering. Posted on 10 Aug 2018 in the Uncategorized categories. 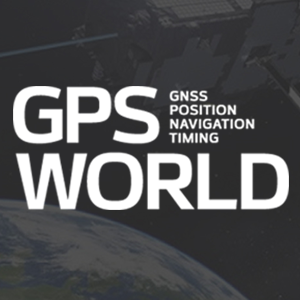 GPS World White Paper: Honeywell Posted on 11 Oct 2017 in the Resources & White Papers categories. Spirent Federal showcases GSS6450, GSS7000 at Xponential 2017 Posted on 12 May 2017 in the Sponsored Video & Videos categories.